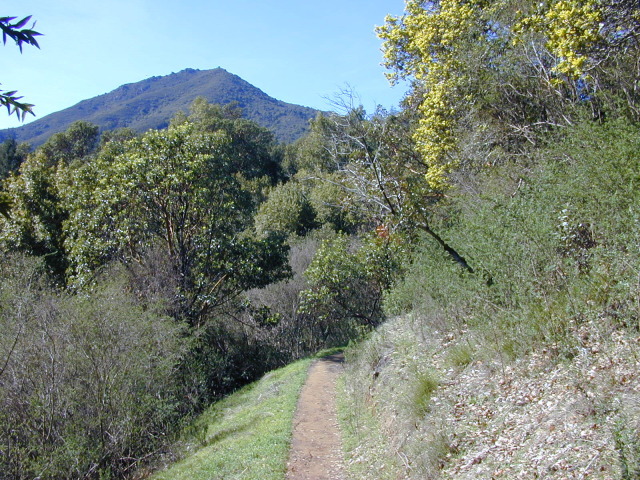 This is a 3.3 mile partial loop around King Mountain, above a Larkspur neighborhood. There are a couple short steep portions of fire road, but this is a relatively easy hike with about 500 feet in elevation change. There’s a mixture of sun and shade; the terrain is dirt fire roads and trails. The hike takes about 1-½ hours. Additional Information: We will meet in front of the Rite Aid at Corte Madera Town Park and carpool together from there, as parking is limited at the trailhead.